Mary Miss and Tim Carter’s essay, “Decoding the River: Artists and Scientists Reveal the Water System of the White River” is a case study that demonstrates the power of transdisciplinary collaboration. It reports on the first part of City as a Living Laboratory (CALL), a multi-phase project in Indianapolis. Their collaboration brings together scientists and artists—as well as government agencies, including the USGS—to address the issue of education and civic understanding of waterways. Through a series of installations based throughout Indianapolis, the project has focused on getting citizens to recognize the profound importance of local waterways to their lives. 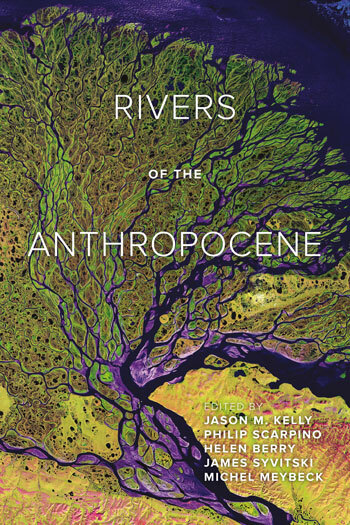 It underlines one of the central premises of the RoA project: addressing the challenges of the Anthropocene necessitates a wholesale cultural transformation in attitudes, expectations, and relationships to river systems. CALL shows one way that transdisciplinary collaboration can help effect this change.